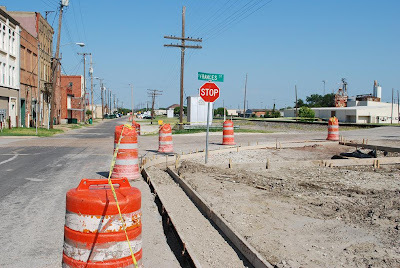 Work has started on improving the parking between the alley and the railroad tracks south of Moore Ave. in Terrell. Hopefully with the improved parking, customers will find it easier to park and shop downtown. This was taken Saturday the 22nd. I will go back down when they are finished and do an after shot. It seems lately I have been listening to more music that watching television (that's a good thing). Last night I stayed up late listening to Linkin Park and then the Go-Gos, I know what a combo.